Dr. Rinky Kapoor, the renowned dermatology specialist, has recently launched the ZO range of skincare products in India. 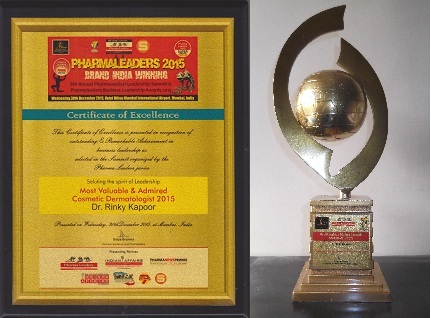 This award was presented by Pharma Leaders, Asia’s biggest media in healthcare communications, in association with Network 7 Media Group and the Ministry of Health & Family Affairs & Department of Pharmaceuticals, Ministry of Chemicals & Fertilizers (Government of India), at a stellar function organized at the Chancellor Suite of Hotel Hilton Mumbai International Airport, on 30 th December 2015. As a branch of medicine, dermatology is one which deals with the health of the outer covers of the human body – the skin, hair and nails. Therefore a dermatologist is an expert you consult when you have issues with your skin, nails or hair. But in a broader sense, dermatology involves not only mere diagnosis and treatment of various conditions but also research regarding various health related aspects of the skin, hair and nails. Various cosmetic and dermatology conditions may include normal diseases of the skin to serious conditions like cancers. On the other hand, cosmetology is a branch that entails treatments and procedures aimed at improving the appearance of a person. Cosmetologists too provide various procedures related to the skin and hair. However these conditions are not serious. In most cases these cosmetic procedures are carried out with the sole aim of enhancing the beauty of the patient to give the best possible results. The cosmetology industry has seen immense expansion in recent years and is continuously expanding. People are now getting increasingly conscious about their appearance and beauty is something everyone is searching for. Therefore people are always looking for the best cosmetologist in India to enhance their appearance and make them more beautiful. The need for a dermatologist though is not something that has arisen in the recent past. Dermatologists have almost always been in demand. Diseases of the skin and those related to the hair have been affecting people right from the start of humanity. Skin diseases in particular have always bothered mankind. 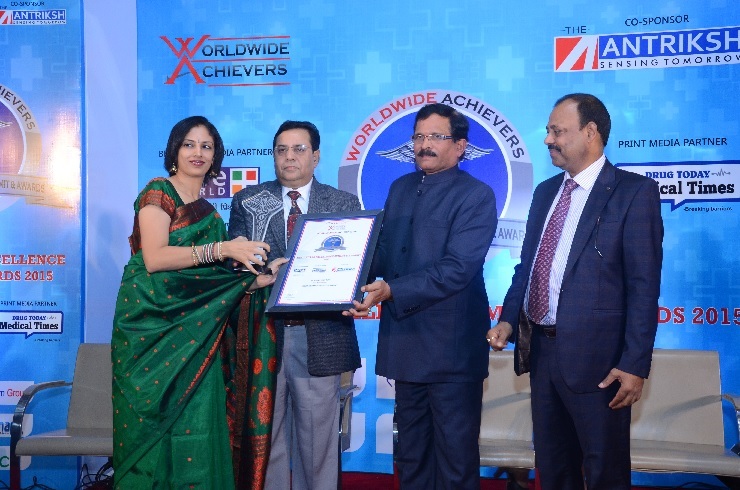 Especially in a country like ours where pollution levels are high and food habits are becoming more unhealthy day by the day, the need for the best dermatologists in India is never-ending. People with highly stressful lives rarely get the chance to lead a healthy life where they get a chance to take care of their bodies. In metro cities like Delhi, Mumbai etc, the situation seems even more dire, where a high-paced life compounded with very high levels of air pollution makes skin conditons even worse. So people will always look for the best dermatologist in Mumbai. Acne – This happens when hair follicles are blocked by the clogging of oil of the skin and dead cells. It is very common for a person to look for the best acne treatment in Mumbai since acne pimples are very bad for the appearance for a person. Moles and warts – Moles are spots on the skin that are generally developed in childhood. When small in size or in places that go unnoticed, they need no interference. But when they appear very prominently on the face, or are very large in size, it is natural for patients to seek removal. Vitiligo – It is another disease that happens when there is a loss of pigmentation in patches in the skin. This condition is very bad for the appearance of a person and if you have this, always seek consultation from the best skin doctor in Mumbai. Wrinkled skin- This makes you look older than you are, and therefore a cosmetologist will sit with you and discuss ways to get rid of them. Procedures like chemical peeling and fillers help in the anti-aging treatments. Dark Circles - Again another very common condition that affects people undergoing stress. A cosmetologist will suggest creams and topical agents to improve the condition. Dark skin- A problem of hyperpigmentation, a cosmetologist will suggest creams and topical agents, or conduct skin whitening procedures to ensure a fair skin. These are some of the problems that can be gotten rid of by a dermatologist and cosmetologist in Mumbai. In fact, a top skin specialist in Mumbai will be equipped with all the latest technology available and provide you with a result that you will not achieve elsewhere. Dr Rinky Kapoor is one of those best dermatologists in Mumbai who can give you the appearance you need. Cofounder of The Esthetic Clinics in Mumbai, Dr Rinky Kapoor is probably the best skin doctor in Mumbai & India. She is a visiting fellow at the Stanford Medical School and is also the founder of the Aesthetic Centre at the Apollo Health City in Hyderabad. She is counted among the best skin specialist doctors in Mumbai and is probably the best at cosmetic dermatology in India having trained under some of the best in the world. So if you think you have a skin related problem, make sure you consult Dr Rinky Kapoor. There are many reasons why your skin looks so dull, spotted and scary. The reasons may be exposure to the sunlight, aging or pimples; you never know. To get a smoother and younger looking skin, you can try the treatment of a chemical peel. In this treatment a chemical solution is applied over the skin to remove the damaged superficial skin layers and to smoothen the texture of your skin. Microdermabrasion is an anti-aging treatment. It helps to get rid of wrinkles and unwanted tanning and aging spots. It also reduces skin pores, scarring on the skin, leaving a smooth skin behind, It also helps in building collagen in the skin, and make the skin look young forever. It is known for its ease of operations and high success rate. In 2009 we have the introduction of the first medication approved by the FDA to lengthen, increase the width and the darkness of eyelashes. This new product is called Latisse and it is brought to us by the same company that brought us popular cosmetic treatments such as Botox and Juvederm. Latisse is available by prescription only. Hair is a vital part of a human body which makes us look beautiful. They come in various types and textures ranging from fine and invisible to thick and darkly pigmented. Hair is made up of a a protein called keratin is a major component of hair strand. The skin is the largest organ of the human body. Dr. Rinky Kapoor specializes in skin treatments for vitiligo, psoriasis, hyperpigmentation & other skin diseases. She also performs cosmetic skin treatments like laser, cosmetic peels, hair treatments like QR 678 growth factor injections etc. Lasers can be used for many skin treatments these days. CO2 laser is used to remove scars & for facial rejuvenation. Nd-YAG laser is used for hair removal. Double Frequency Nd-Yag Laser is used for pigment removal in melasma. Dr. Kapoor is a pioneer in all these laser treatments. Every individual’s desires a healthy and beautiful skin. The key mantras to optimal skin health is Prevention and protection. As a Cosmetic Dermatologist, Dr. Rinky Kapoor provides expert advice and care to treat various acute skin diseases like skin infections to the chronic ones like psoriasis, vitiligo, lichen planus etc. She is a trained, internationally recognized laser skin expert, Cosmetic Dermatologist and dermatosurgeon. © Copyright 2017-18. Cosmetic Dermatologist. All rights Reserved.